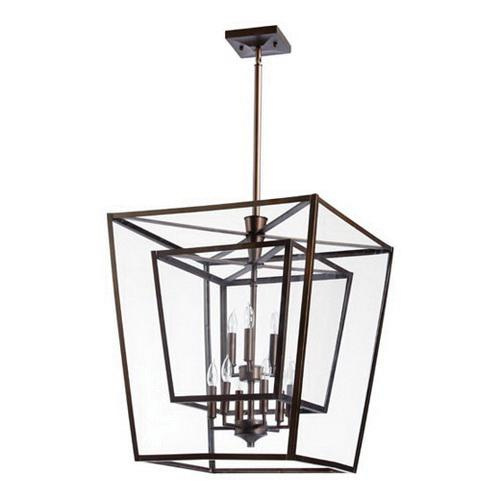 Quorum International Kaufmann Entry Collection 9-Light foyer pendant fixture in oiled bronze finish, features clear shade with glass diffuser that creates soft light to the surrounding. This fixture supports nine 60-Watt lamps. This fixture measures 31-Inch x 26-Inch.